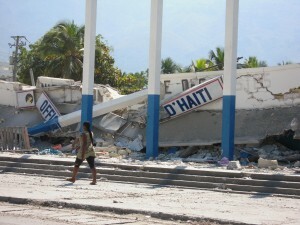 As we look back a year later on the tragic events in Haiti, what have we learned? Typically after a major disaster like this, there are a plethora of evaluations. DARA itself visited Haiti in 2010 and will do so again in 2011. The challenge will be to build and share our knowledge, and apply lessons learned in Haiti and elsewhere. Unfortunately, previous lessons and main conclusions were not applied even though Haiti suffered from consecutive natural disasters and four back-to-back hurricanes. Experience shows that despite good efforts, the international community in general failed to invest in preparedness, prevention and capacity building. Given the poverty of Haiti and low level of development, housing standards such as those that minimized the losses from a similar earthquake weeks later in Chile were beyond reach in Haiti. Proper contingency planning would not have prevented earthquake damage but would certainly have reduced the dreadful loss of life. The difference in the magnitude of damages and impact between the earthquakes in Haiti and Chile show the importance that well prepared local communities, strong civil societies and governments can play in the response to large-scale disasters. While some 70 international search and rescue teams saved an almost unprecedented 135 victims, in fact while we will never know the numbers, neighbours and community organisations did the overwhelming bulk of the life-saving in Haiti. The Haiti disaster pointed up the importance of leadership, including in the management of clusters, in responding to such crises. It is tragic that many of the problems that beset Haiti were also evident in the Pakistan flood crisis. There is however evidence that serious, if overdue, attention to such issues as leadership and domestic capacity building is now being given by the international community. A welcome development that must move quickly to fruition to prepare for the imminent threats facing us in the new year – and the years ahead. Allan Lavell: "The cause of the disaster in Haiti is social"